The Town House is a Category "A" listed building of Edwardian Baroque Style. The building combines three linked structures individually constructed and separately opened in 1907 (Carnegie Library), 1914 (Town House) and 1928 (Town Hall). The Town House underwent a £9m refurbishment with support from the Heritage Lottery Fund, Scottish Arts Council, Historic Scotland. 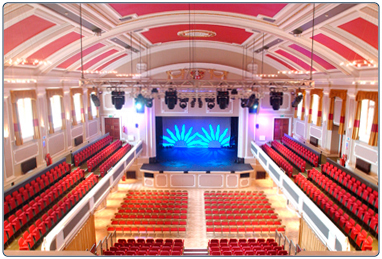 The Town House re-opened as a multi purpose Arts Venue in 2004 and is a five star arts venue under the Visit Scotland grading scheme. 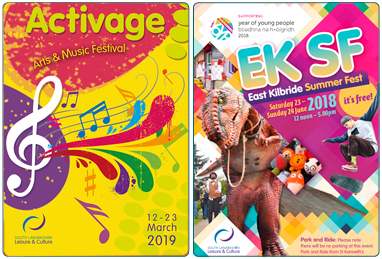 It has facilities capable of hosting performances, weddings and social events, arts classes and courses, conferences and meetings as well as promoting varied arts and cultural events programme. The Town House hosts a variety of performances, from West End productions, national companies through to local amateur groups, download our Forthcoming attractions brochure. For more information or to book tickets contact our Box Office on 01698 452299 or click the Online booking button below to book tickets online. The Town House also offers a variety of flexible accommodation to suit your needs. For more information please view our Conference and events page. The Town House is an inspired choice for those looking for a distinguished wedding ceremony and evening reception. Visit our wedding page for more information. We also offer a range of classes and courses, including drama, dance, music and painting. 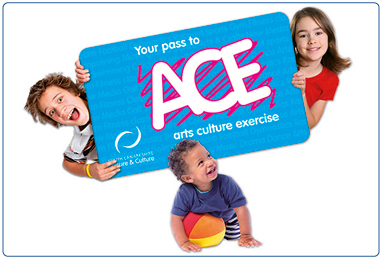 Click here for the annual arts programme or ACE for children's activities. 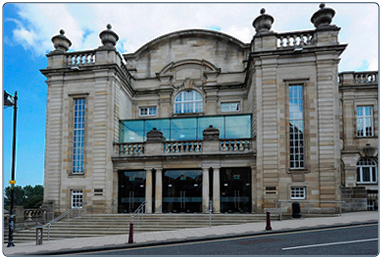 The Town House is a short walk from rail and bus links and is only 5 minutes from the M74. The Venue is fully accessible to disabled visitors and has its own dedicated disabled car parking bays. There is a public pay and display car park adjacent to the venue. 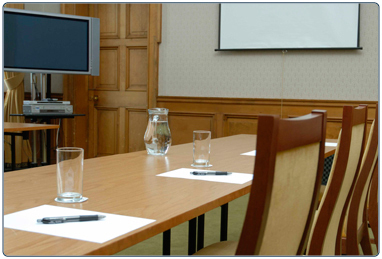 Information on the halls and rooms available for conference and events at the Town House, Hamilton. Contact details for the Town House, Hamilton.